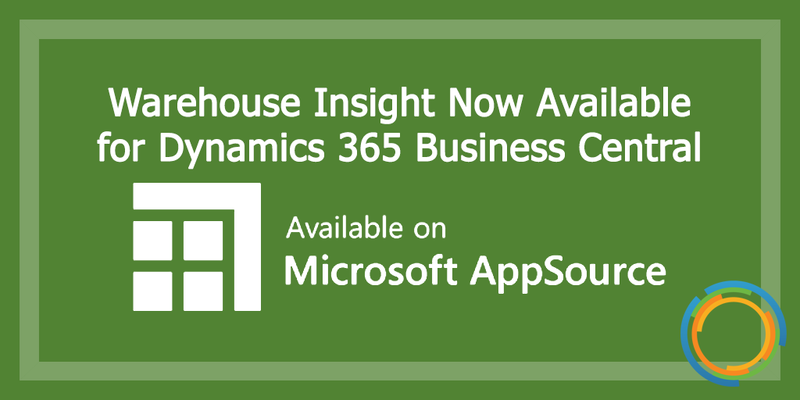 Insight Works’ flagship WMS product, Warehouse Insight, is now available for Dynamics 365 Business Central, and can be found on Microsoft’s AppSource. Why is this a big deal? For starters, Dynamics 365 Business Central is a great solution for supply chain management, and given that our Warehouse Insight is quite the powerful warehouse management system, there is the potential for this to be a match made in warehousing simplicity heaven. But before we go into the ins and outs of what makes Warehouse Insight the perfect warehouse management product for your needs, let’s take a brief look at the changes Microsoft has implemented to make these kinds of processes possible. For many years, Microsoft has been offering Microsoft Dynamics NAV, an ERP that is not cloud-based, but for this year the software giant changed the name to Business Central (you’ve probably seen plenty of references to this in our blogs). Where some users have gotten confused – and rightfully so – is when Microsoft created a cloud version also called Business Central; so, what was once known as Dynamics NAV is now Business Central (on-premises), with the new cloud version known as Dynamics 365 Business Central. Here’s what’s important to note: The modern model for all things Business Central that Microsoft is going with is similar to Apple and Android, wherein there is a “base” system in which apps can be downloaded and installed. As such, Insight Works products are going to be available in app form as we join the forward march into modern day tech…a world that seemingly knows no boundaries and encompasses a nearly infinite number of applications and industries. If you represent a company engaged in discreet manufacturing or distribution, you need to take a serious look at the Microsoft Dynamics 365 Business Central cloud solution and its myriad of modern digital technologies. With it, the processes of financial management, supply chain, inventory, warehousing, project management, manufacturing and CRM become uber-intuitive, allowing you to focus your efforts on gaining more profits. Optimized Inventory Levels – Use built-in intelligence to predict when and what to replenish, and purchase only what you need with dynamically updated inventory levels. Avoidance of Lost Sales and Reduced Shortages – Maintain the right amount of inventory by automatically calculating stock levels, lead times and reorder points; you can even suggest substitutes when requested items are out of stock. Maximization of Profits – Get recommendations on when to pay vendors, use vendor discounts or avoid overdue penalties; you can also prevent unnecessary or fraudulent purchases through approval workflows. As a powerful warehouse management system now available on Microsoft’s AppSource, Insight Works’ Warehouse Insight improves warehouse accuracy and boosts efficiency, all with mobile device and barcode integration. Where inventory and warehouse managers once found themselves battling inefficient operations due to inaccurate warehouse transactions and time-consuming manual tracking, this all becomes a thing of the past with Warehouse Insight. What’s more, Warehouse Insight provides warehouse and production employees with full access to Dynamics 365 Business Central via barcode scanners and handheld computers, streamlining Business Central’s inventory and warehouse functionality to provide intuitive warehousing tools for inventory counts, shipping, receiving, picks, putaways, bin management and more. To learn more about Warehouse Insight’s potential and its availability on AppSource, click here.